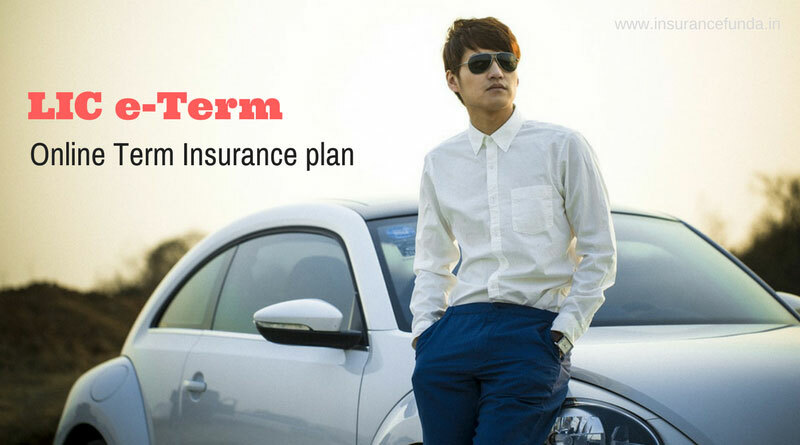 LIC e-Term insurance plan number 825 – Premium, Benefits, Comparisons and Calculators. Life is full of unexpected ups and downs. At times the unexpected and unfortunate incidents can even affect the life of the bread-winner of the family. And that is when and where term insurance has its role. LIC’s e-Term is a regular premium pure protection insurance plan, which provides high insurance coverage at considerably low premium. Another main feature of this plan is that, it is the one and only term insurance policy from Life insurance Corporation (LIC) of India, which can be purchased online. LIC e-Term plan – Features and Eligibility conditions. Check out this video to make purchasing of e-term policy easy. Term Insurance policies from LIC of India – A quick comparison. Hover the mouse or click over the infogram shown above to reveal more details. Note# *The benefit illustrations shown above are just for understanding the basic details of the plan. Please go through LIC web site for more details.